It is significant to know what to eat before and after donating blood. You can have iron rich foods both before and after donating blood. It is advisable not to eat anything heavy before blood donation. As you may be aware that blood donation can save lives, can help patients in trauma care and surgical patients by sufficing the need of blood and maintaining blood levels. 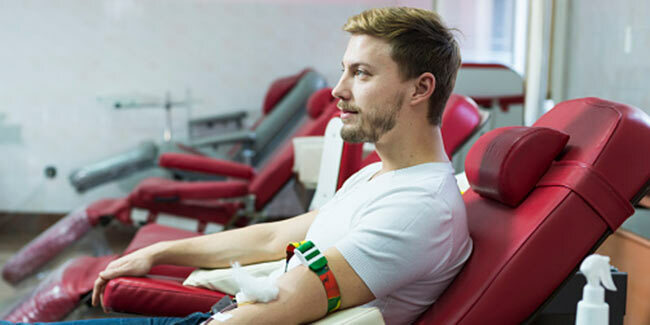 Although the blood process only employs qualified individuals and verified practices, one can expect to experience the side effects of blood donation, like dizziness, fatigue and loss of consciousness right after donating blood. However, there is a way by which you can minimize the side effects of blood donation by keeping a track of what you eat before and after donating blood. Yes, eating the right food before and after blood donation is important. Therefore, it is significant to know what to eat before and after donating blood that can help you fill in the lost vitamin and iron. You must have a low-fat meal before you go to donate blood. If you have a high-fat meal, it can obstruct the blood testing process as fat in the blood can make it almost impossible to test the blood for communicable diseases. If you wish to have breakfast before blood donation, you can have a small piece of fruit, or a bowl of low-fat milk is apt but nothing too fatty is advisable. If you are scheduled for blood donation you can have foods that are rich in Vitamin C as it helps your body to absorb iron. You can have orange, grape and juices of other citrus fruits to have vitamin C.
Iron carries oxygen to your tissues and without iron, your body fails to produce or maintain healthy red blood cells. And to sustain healthy body functions, your body must make new blood cells. Consumption of foods enriched in iron can give you enough iron to maintain the number of red blood cells. Foods like spinach, fish, red meat, poultry, raisins and beans etc. are high in iron. Apart from these, nuts and peanut butter also contain it. You can also have cereals that contain iron. Your body uses folate, also known as B-9, folic acid or folacin, to manufacture new red blood cells. This helps to replace blood cells lost during donation. Foods that contain folate include liver, dried beans, asparagus and green, leafy vegetables like spinach, kale and collard greens. Orange juice is another source of folate. Fortified bread, cereals and rice also can contain this vitamin. Dairy products such as milk, cheese and yoghurt are enriched in riboflavin. Also known as Vitamin B2, it is an essential component to generate red blood cells. Riboflavin will help your body to turn carbohydrate into energy. After donating blood, you may feel weak; the energy from riboflavin can help you have the required energy. The foods that are enriched in riboflavin are eggs, leafy vegetables, nuts, asparagus, broccoli and vitamin-fortified cereals. You can also have dairy products like yoghurt and milk to suffice the need of riboflavin. 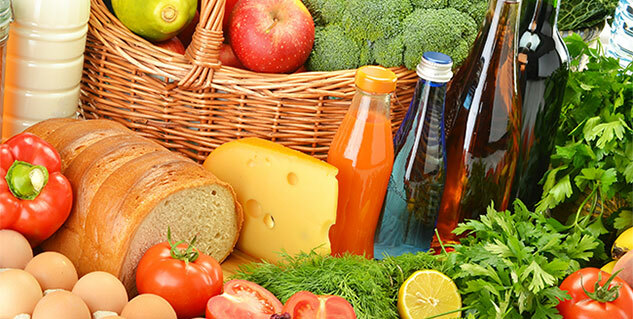 Foods that have Vitamin B – 6 can be beneficial for you in many ways after you donate blood. When you donate blood, your body requires vitamin to generate healthy blood cells and B – 6 helps the body to break down proteins as protein is enriched in many nutrients that you need after you give blood. Potatoes, seeds, nuts, eggs red meat, spinach and bananas are some of the foods that are a rich source of vitamin B6. When you are done with blood donation, it is for sure that your body will require energy and eating a meal rich in aforementioned components can help you regenerate the lost blood cells. However, you must also have fluids with the food you consume. Your body will readjust by drinking fluids 24 to 48 hours donating blood. It is advisable that you do not consume alcohol instead increase your water consumption.